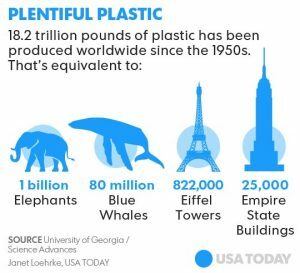 Plastic pollution is one of the biggest environmental challenges of our time. Plastic constitutes approximately 90 per cent of all rubbish floating on the ocean’s surface. 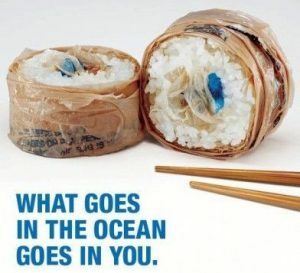 By 2050 plastic waste is estimated to outweigh all the fish in the sea and it’s getting in the seafood YOU eat. An estimated truckload of plastic enters the ocean every minute!  In OUR South Pacific sits a plastic garbage patch the size of India full of clouds of small plastics – the sort fish eat! Henderson Island, in this South Pacific region, was recently crowned the most plastic-polluted island on Earth, as it is covered in roughly 38 million pieces of trash. Plastic doesn’t go away, its stays in our environment for centuries.Virtually every piece of plastic that was ever made still exists. It doesn’t break down – it only breaks up, becoming smaller and smaller until it eventually becomes microfibre plastic. Microfibre plastic is now in most of our drinking water and fish, with untold future effects for humans. A recent study on fish in the south Pacific showed that 97 percent of all fish species sampled had micro-plastics. Eating fish that has consumed microplastic is unlikely to come without health consequences. From getting stuck in nets to eating plastic that they think is food, creatures worldwide are dying from the material we made. 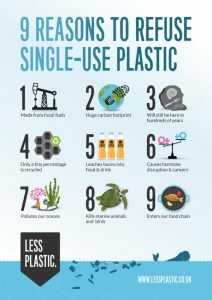 One million sea birds and 100,000 marine mammals are killed annually from plastic in our oceans, whether by choking, entangling, or slowly poisoning them, or starving them of real food. 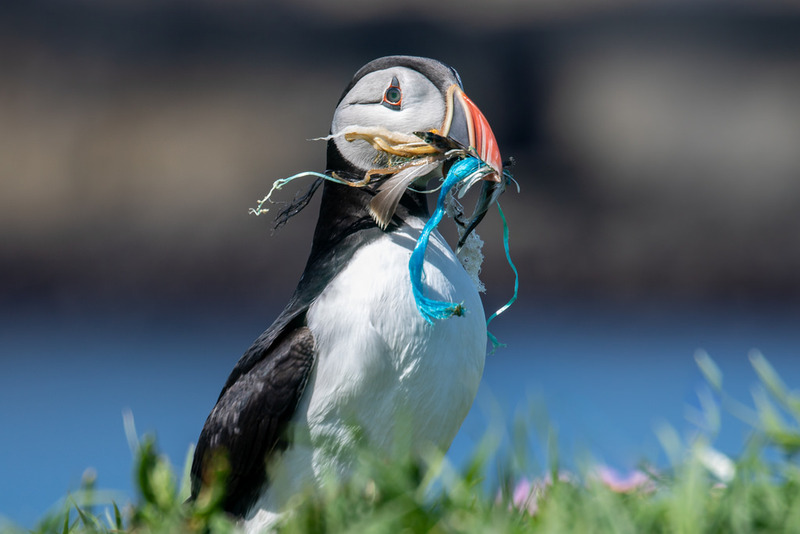 44 per cent of all seabird species, 22 per cent of cetaceans (dolphin, whales), all sea turtle species have been documented with plastic in or around their bodies. Imagine a 1 litre water bottle filled one quarter of the way up with oil. That’s about how much oil was needed to produce the bottle. Plus 3 bottles of water are required to make the bottle!